A few weeks ago, I covered Rolex's BaselWorld Fair introductions and the star of the show was the retro-inspired "Orange Hand" Explorer which is a real beauty. 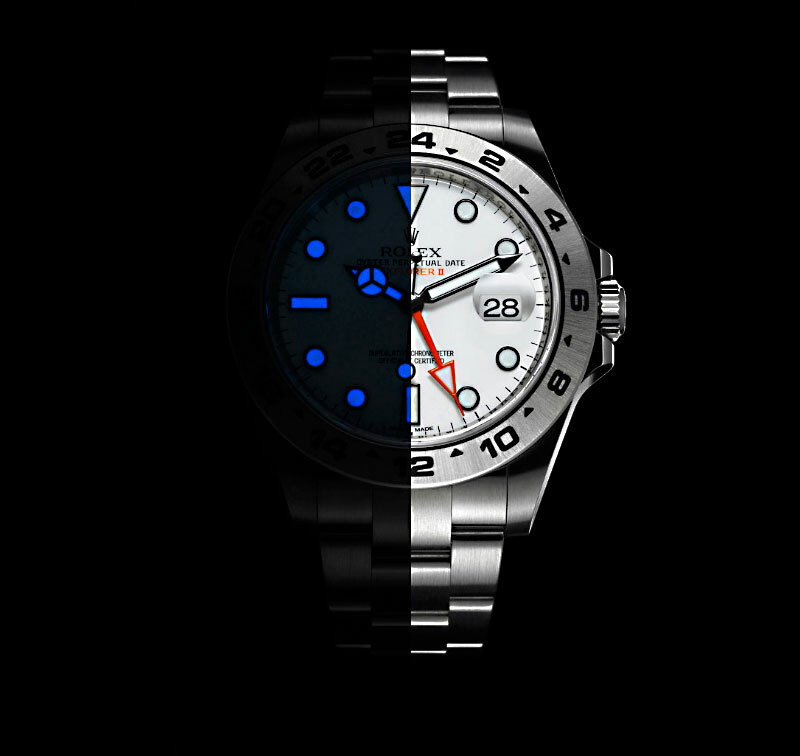 I took these Rolex images and spliced them together to illustrate what the all-new "Orange Hand" looks like in light and dark. Very Cool...Don't forget to drink your Tang!!! Orange Hand & Explorer Go Together!!! !